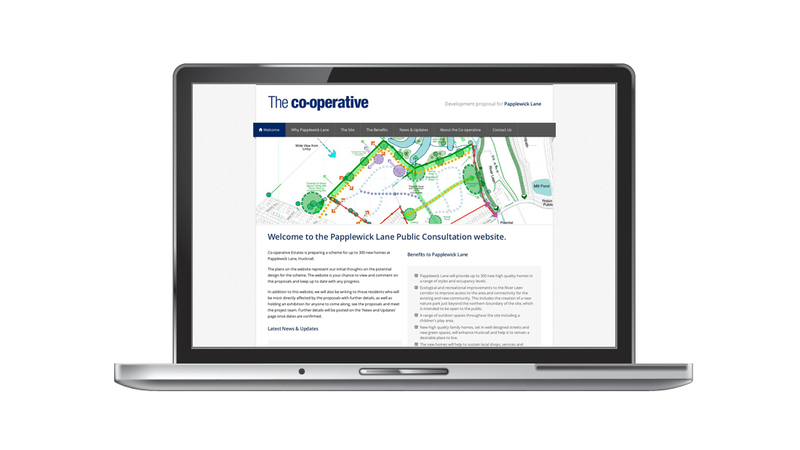 application: Public consultation website for CO-OP estates housing development. 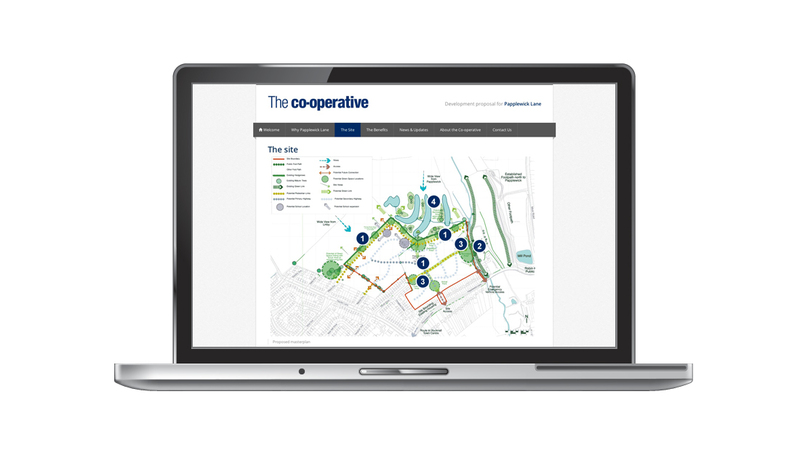 Brief: To create a website using current corporate branding guidelines to support the building of a new housing development in Hucknall. The website was required to have wide appeal & canvas opinion and ensure feedback from the general public.